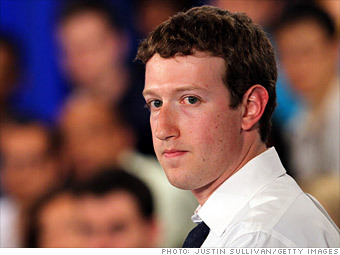 Facebook founder Mark Zuckerberg has expressed interest in learning about hunting, according to a CNN Money article. The 27-year-old gazillion-aire, whose social media platform has revolutionized how the world's populous shares its inner-thoughts on what was had for breakfast, has taken on a personal challenge of only eating food that he personally kills this year. So far he's killed a lobster, pig, chicken and goat with the assist of a local Silicon Valley butcher, but has expressed that he'd ready to take up hunting too. Now that's something to "Like."